Life Evolves! Our perception towards life is different in different phases of our life, be it our childhood days, teen days or as an adult. Every act we perform today impacts our life in one way or other. However, we shouldn’t be afraid of committing mistakes as it helps us to become a better person in our life. The only thing we should not forget during our journey is to not lose our values and principles. One of the most important life lesson which I learned: People around you can make or break your life. Every person we come across leaves a huge impact on our life. So it’s better for us to choose the right set of people to be around and surrounded with. 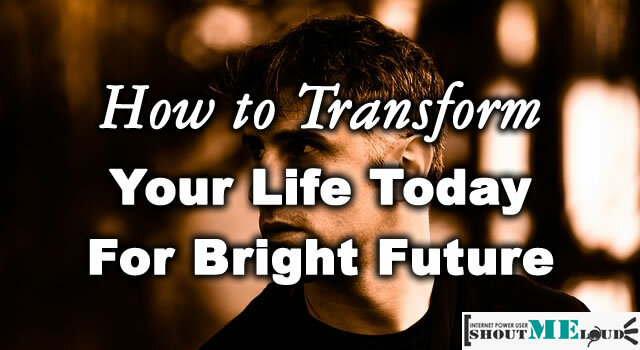 Here I’m sharing few tips which will help you to transform your life and become a better person. These are few things which I have learnt from my 26 years of life journey and I’m still learning something new every day and it will keep happening till the end of my life journey. Before I start, let me tell you I’m neither a life coach nor a mentor, I’m like you and others who is in the process of exploring his life. All these tips came from self-experience and best of life-lesson comes with self learning. So, let’s get on with some of the tips which may transform your life and help you to be a better & lovable person. Always remember, forming a new and a good habit or getting rid of an old and bad habit takes time. Never try to bring too many changes in your life at one go, changing a habit takes time … Make a list and start one at a time and see how you bring positive changes in your life with right mind-set. Key is, you have to start taking action now to bring changes in future. 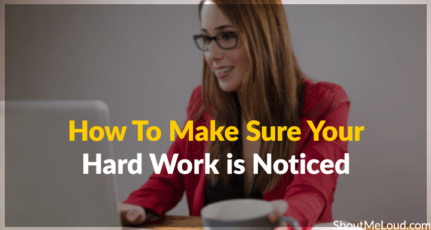 Without your effort and dedication, this article will just be words but with your effort this article could be life changer for you. In this journey of life, you will meet many people. Some of them will be successful people, some of them in the process of achieving success and some are those who have accepted defeat or are giving up. I’m a strong believer of Positive and Negative energy. It comes from people around you. If you are hanging out with people having Positive attitude and outlook, you will see and perceive things the same way. Where as, when you spend lots of time with negative people you will see the life their ways. Interesting thing about negative energy is,we are attracted towards it. We like it as that’s a new experience for us, they are new set of people for us but we can learn a lot of things from them. Our effort should be to separate negativity from negative people as everyone have something good and bad attached to them, if they are negative there must be something in the past that has triggered him to be like this. Don’t hate them and Instead of running away from them, learn a lesson from these people. See what’s the reason of their sorrow and make sure, you don’t get into such situation. For example, I have a friend who is always sad about his past and it’s been a year that he is still stuck in the same phase. When ever I talk to him, he starts with a positive attitude but gradually shifts towards his negative approach and outlook towards life. Being a friend, I have tried helping him out but it is of no use. Everytime i talk to him, i feel diffident, anxious and pessimistic. Well, I was paying a price of being friend and was trying to help him, but you can’t help someone when they are not willing to help themselves. One thing which I have learned from him: People like to talk and spend time with people who are optimistic and happy, where as people tend to run away from people who complains about everything around them. Try to cut down your time with such negative people or better stay away from them. My suggestion: Start hanging out with people who give you positive outlook and positive energy. Who love to be with you because of what you are and who encourages you for your work, career and life. In simple words: Kick out all Negative people around you and start hanging out with positive people. You will see one of the biggest transformation in your life. There is no fun in limiting your knowledge and insight. When you travel, you meet many new people and you will understand different culture. You will see diversity in everything and you will be amazed to know how beautiful everything around you is. I was not much of a traveler in my college days, but after working from home for 3 straight years, travelling is a part of my life now!. Every time, I travel to a new place it gives me great memory, confidence and a new way to look at people and things. I realize there is so much to explore in this world, I don’t know how people survive and live in extreme condition and I will never understand it until I’m there once in life. Being a Professional Blogger, we get the advantage of working from anywhere. Use it as your best weapon. Start travelling today, if not too far start with the coffee shop next to you. Next time, find a better nearby place and then another city, another country and later another part of the world. Remember your college days holiday trip, you enjoyed it because that time you traveled without worrying about anything and now, when you are fulfilling your dream, making money and when technology is lowering down the gaps, its time to use it for your own advantage. Why not make a plan this weekend and go to a near by place, which you have planned to go from long. From last few months, I can feel the level of energy inside me going down. There was no driving factor for me as money was coming easy to me and I was sitting in my comfort zone. I was happy with what ever coming into my way and life was going on with the same pace. One fine day, I started calculating about what’s the difference now and earlier ? What I’m missing and why my life is becoming meaningless? Yes, I figured out it’s time to set a new goal. I have achieved few of my small goals and it’s time to target a new one and bigger than last time. Setting up life goals, helped me to look at things in a new direction and I can feel the burst of positive energy coming from inside me and driving me to work harder towards my goal of life. 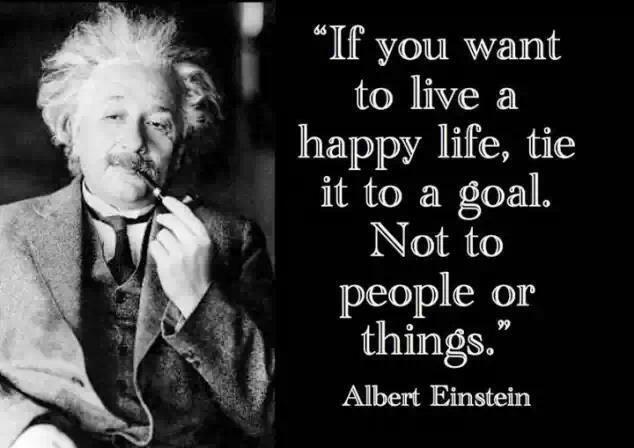 While setting up goals in your life, Don’t limit yourself to small and financial goals only, think of life after 20-30 years now, think of how and what ways you want to see yourself when you are in 60’s. What do you want at that point of time? A Happy family? Lots of money to help you in your old age? A nice house at the side of beach or it could be travel around the world before you turn 50. Most of these goals needs money and I need to work more and harder to achieve them. Better, make a sticky note or wall poster and stick it around your work area with list of things you want to achieve in your life. Also, make a small-small milestones and goals, which will help you to meet your main goal. 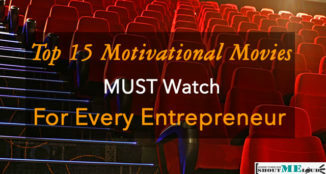 How about, I want to make $20000 in a month and ever month I want to grow it by 10%. I’m not going to repeat myself about the problems which I faced while working from home, but it’s not as great as we think. We miss out many things, which we learn being in an office or miss out learning how things work in real world. This is something, which I started doing few months back and I see a big transformation in my life. Earlier, I hated meeting new people because I was afraid that I have a limited knowledge and I miss out many things like I don’t know about best dining place around, I don’t know about what’s happening around, whats latest in car industry and I realize it’s only because there is no driving factor for me to learn these things. When you meet people, talk to them you realize there are many things outside your work that you need to learn. Later, Google become my best friend to learn new things and it was fun. I learned a lot about best places in my city, what people want and how many things work. Believe it or not, this boosted my confidence to next level. 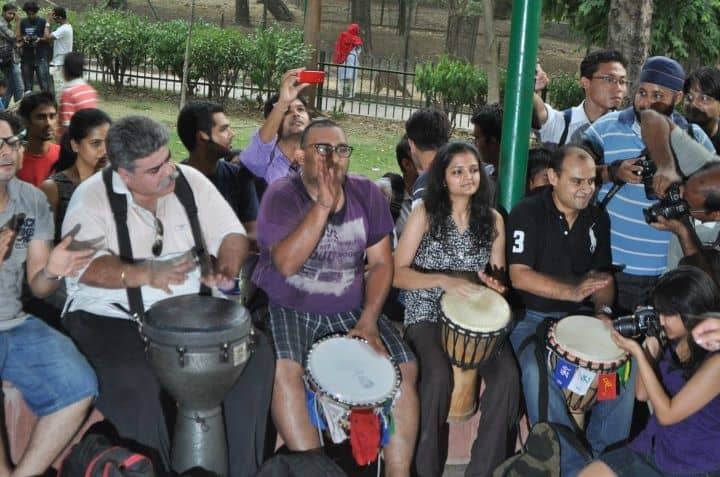 I also started going to one of the open social group “Delhi drum circle“, where people meet in a park near to my place and we dance and play music. It’s a non-profit meet up and every individual who come there just enjoys life and says thanks to each other for being there. Find such social group in your city or make one of your own. Call 2-3 people who shares the same insight or thought about positive life and enjoy music and dancing. Loose yourself and just enjoy tapping your feet on the floor. This will make you happy from inside and you will feel a great level of confidence. When I was 15, I learnt one of the best thing from my mother and that’s learning. She always says, a Person who is in 20’s, 30’s or 70’s should always read. Reading helps you to transform your mind and learn a new thing every day. Reading not only helps you to empower your mind with new thoughts, but also helps in self growth and personality development. For my Blogging work, I read a lot about my field. You can find my tweeting new stuff always on my Twitter @denharsh. But, here I’m talking about reading stuff out of your work niche. Reading something that you like to read apart from work. For me, marketing, science-fiction, Art of living are few of those topic which I like to read. I always have a book around me and try to read when ever possible. Forming a reading habit takes time, start with something you always wanted to know and read. It could be reading psychology, reading how to be a better person or may be The Monk who sold his ferrari. Keep a highligher/Marker with you and point out lines and words which are new and amuses you. Make a note of it and it will help you to learn new words and will be very helpful in your writing & Blogging career. These are just few examples but adding them and working on learning them will require time and it will help you to enhance your personality and get better every day. Next time, you can treat yourself with self-made delicious food or a mind-blowing cocktail on Sunday evening. A year back, time for me meant nothing. I was careless, a rebel (I’m still), and a free bird. I never respected time and never made most out of it. I did things with my ease and when I look back, I can’t do anything about those lost time. I watched this movie In time last year,which made me realise why and how time is important. This movie is about people in future where they get paid in form of time to live, and to buy things, they have to give time. For example, a cup of coffee cost 2 hour of your life span and buying a lavish dinner will cost your 2 days of life. This movie made a great impact on my life and It made complete sense to me: “respect time”. Use your time smartly, because once this time is lost, you can’t get it back and you can’t make most out of it. Work on making most out of it, finish your important work, learn a new thing, take holidays and explore world, do what you want to and make most out of it. I can keep going on with my life transformation tips here, as I have lived on my own from last 12 years and learnt a great deal of things and I’m still learning. The last advice which I would like to add here is: Take action now! There is no tomorrow: If you have to do and carry out something, there is no right and wrong time to start. 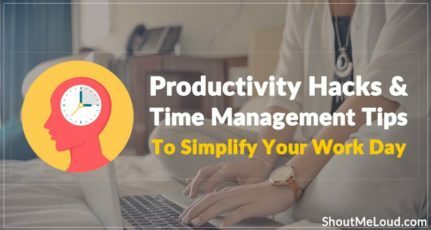 Start working right away! Work towards your goal and work towards your success. Always remember, there is no definition of Perfection, it is how we see things. I thoroughly believe like you’ve mentioned, reading every day, realising that our time is money and always being on the look out to experience new things are important things in our life. To truly transform our lives, it’s the littlest things we think, decide and do on a daily basis. 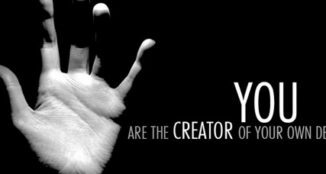 We do indeed possess the power to shape our tomorrows, the future and ultimately our destiny. Just like the ripple in the pond when you throw a pebble, our daily actions will determine and transform our lives. Great read, hoping to read more inspiring articles from you 🙂 ! Tanks for showing me the true way of life and made me to know how to be the original me . Now I hope today is the rigth time for me to begin the new journey of my life….. ones more i tanking u and wishing u a bright future…..
Another Awesome article by you! 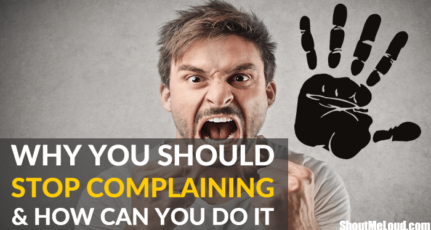 I agree with all your points, especially- “Kick Negative people away: Let the Positive energy comes in” and “make a new goal”. Our association impacts a lot on our life. But sometime it become very difficult to kick negative people away when they are your close friends and relatives. A person is going to fail if he doesn’t know where he is heading towards? without a Goal you can not achieve success in life. At first i was still feeling pity for myself, but now i feel this strenght to TAKE ACTION NOW…. Why don’t you start doing both?? With time you would know which one fascinates you more. Really inspiring article..specially about time..also I will always remember this”you can’t help someone when they are not willing to help themselves”. These musings are great. I too caught the reading habit from my mother and have read avidly all my life. I think igniting the reading bug was one of the best things she did for me.